oh my gosh, my farmers market up the street has FRESH LOCAL STRAWBERRIES. I'LL MAKE THIS AND TYPE BACK SOON ! 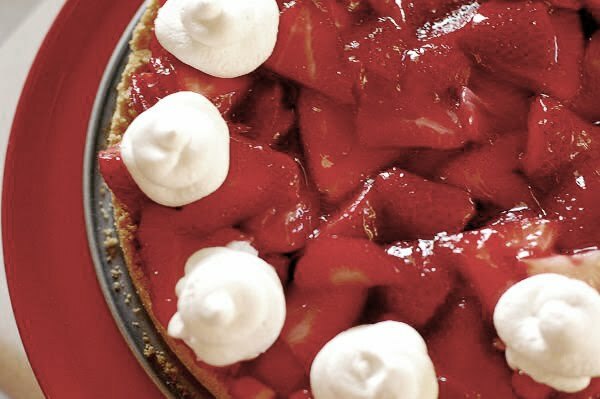 I'm a big fan of strawberries...especially in a pie! Love the photo- so cute! This looks like a great quick recipe. I love strawberries so much, a true taste of summer. And that picture is so cute! 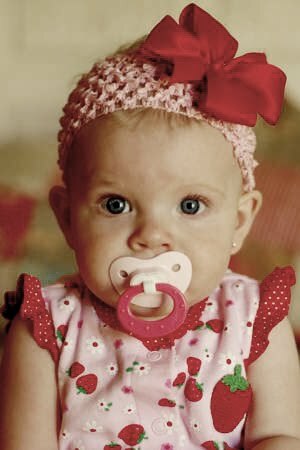 Omigosh....that little strawberry is just the cutest thing ever...I have sons so I am super jealous of cute hair accessories! Great recipe. The baby! What a doll. I could just stare at her all day long, and then have a piece of you pie, and stare some more. Jane, I'm cracking up you don't have jello in your house already (I think my mom keeps at least 20 boxes on hand at all time!) As for Baby Strawberry, I'll have to try out Shortcake as a nickname for her. I don't think you can have too many, really! yuuuum!! 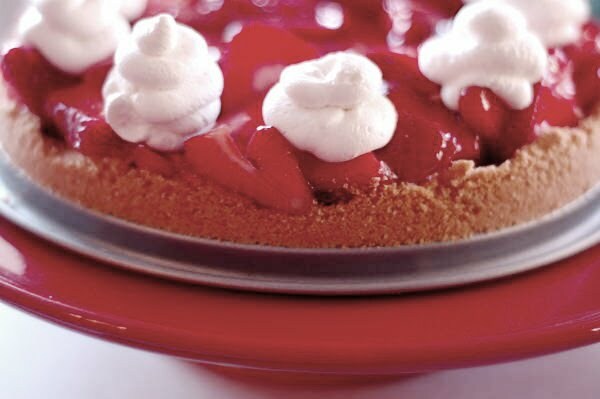 I've been dreaming of making strawberry pie for a few days now. Your little girl is so cute too! Complimenti, ti seguo da un po' le tue ricette sono fantastiche, e la tua bambina è bellissima. Baby Strawberry is so precious - love that photo! 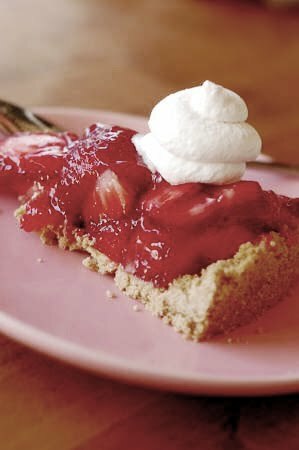 The pie looks terrific too, fresh strawberries are so delicious! What a little sweetie you have there!! She totally distracted me from the pie, but it looks great too! Strawberries are so beautiful (and inexpensive!) right now that I've had a tendency to overbuy - I need to put some to good use in this pie! Hi Anne, I'm just now seeing this. It looks fabulous. I love the way your can get perfect little whipped cream swirls. I have not figured that one out yet. Your little girl is just too cute!